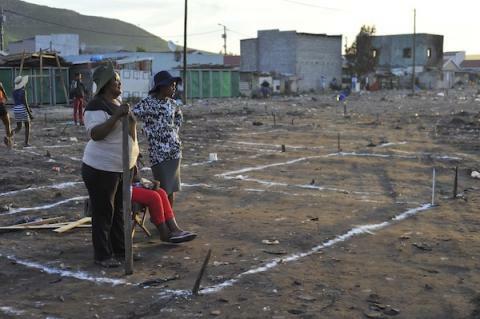 Last December (2015), the Masiphumelele community suffered another fire that left many people destitute. 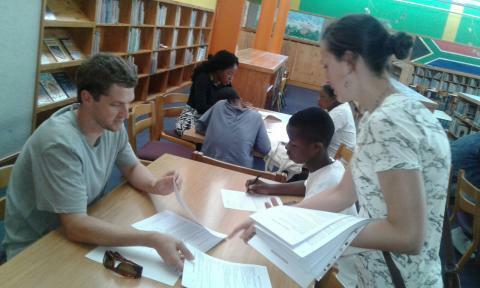 Nicholas Commeignes (Branch Coordinator – Masiphumelele) has been collecting contributions of furniture, clothing and kitchen equipment for the affected learners and organisations such as State Street and Cognia Law have been contributing. Some funds were reserved to assist the learners to acquire school uniform and stationery at the beginning of the year; their living situations still remain difficult though as some have had to rely on family and friends for accomodation which is sometimes far from their schools. One learner gets home from school at 8pm because of the long commute. If you would like to contribute towards this fire relief initiative, this inludes items along the lines of clothing (including uniform), stationery, furniture or kitchen equipment, please send an email to nicolas@ikamvayouth.org / hetile@ikamvayouth.org for detailed information on the learners current requirements. Often as human beings we care the most about being judged and praised by what we have accumulated for ourselves; IkamvaYouth KZN tends to differ as we believe we need to be judged by the footprints we leave behind as we go forward. It is heart-warming to see learners getting excited, feeling valued and mostly recognising the efforts and support from the team in making sure that they remain, succeed and excel in school and in life as a whole. The excitement in their faces and confidence in talking about IkamvaYouth and its benefits gives the IYKZN team courage to keep on keeping-on and positively impacting the lives of learners and the general communities we exist within. IkamvaYouth solely exists with one big aim and that is to ‘help learners to pass, progress and achieve their dreams in life’. IYKZN is undoubtedly carrying that mission as well, to make a difference to the lives of our learners, tutors and all those who forms part of this organisation. 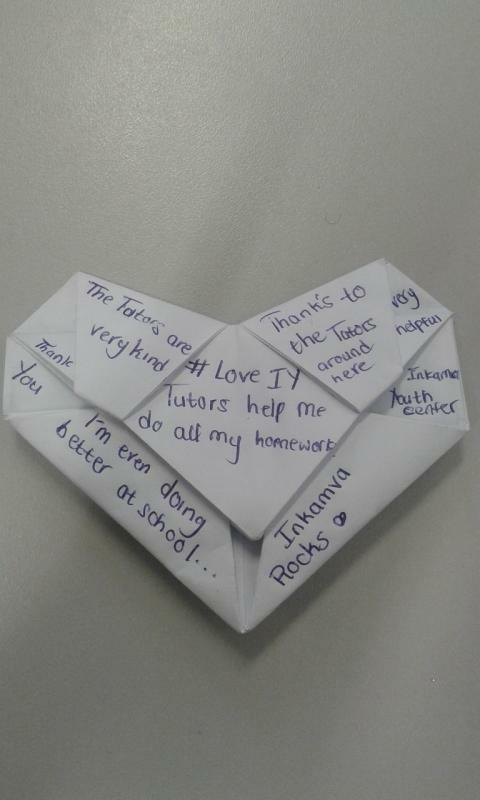 There is nothing that makes the IYKZN family as happy as reaching the office in the morning to find such a lovely note from one of the learners… One thing that comes first is a smile and then the thought of how just a little amount of effort can go a long way. Here’s to making a difference….!!!! Alex and I have been attending the Education NGO Leadership Summit in Benoni today, hosted by the National Education Collaboration Trust (NECT). Godwin Khosa (NECT’s CEO) explained the reasons behind NECT’s focus on interventions at the district level; he said that ultimately, we need to focus on interventions that hold potential for changing the system as a whole. Hence, they are not focusing on the level of the learner, or at that of the school. He said that while NECT could hold Saturday classes and see increased improvement in Maths and Science, these initiatives take a lot of effort, are not systemic, and have a lower sustainability potential. And I agree with him, in that it’s clear that the system needs an overhaul, with the functionality of schools, districts and provinces increasing dramatically. However, I’m really concerned about the idea that working at the “learner level” is seen as too much effort, unsustainable, and not systemic. We all know that the learners currently enrolled in the system are in dire need of remedial support to overcome the deficits in their grasp of the basic fundamentals, especially with regard to literacy and numeracy. 27% of our grade 6 learners are functionally illiterate (SACMEQ, 2007), grade 9s scored an average 14% in Maths in the ANAs (2014), and only 3% scored more than 50%. In 2015, the matric pass rate was 71%, but due to heavy grade dropouts, the cohort pass rate was actually just 41%. Khosa outlined the achievements of NECT to date. While there were some references to “evidence of improvement in the organisation of schools,” the achievements were primarily limited to a list of outputs (number of principals and HODs trained, number of resource packs availed, flash cards, management trackers, etc.) rather than outcomes. Now, while Khosa is absolutely correct that expecting to see improved learner outcomes from NECT in this early stage of its operations (just two years), I am unconvinced that this approach is sufficient for ensuring that 90% of learners pass Maths, Science and Language at above 50% level by 2030 (NECT’s very important and compelling overall objective). As I outlined in the interview with Business Day a few weeks ago, learners’ gaps in understanding and comprehension, particularly when it comes to STEM and language subjects, require individual attention and personalized learning experiences. And while ICT provides some opportunity for offering personalised and responsive learning experiences at scale, all ed-tech people will tell you, the tech is only ever going to be a small part of what it takes to improve learner achievement. Learners need relationships, with people who give them time, who build their trust, who help them to figure out where their gaps and challenges are, and then provide them with the academic and psycho-social support they need to dramatically improve their results and confidence. In some homes (mostly in middle class homes), parents and caregivers have the education and time to do this. Most middle class families also enroll children in after-school tutoring programmes. Unfortunately, this additional support is unavailable to the majority of our country’s learners. It is unrealistic to expect that the education system can provide this level of individualized support to learners, especially when we consider the psycho-social challenges that learners in the lowest quintiles are up against. But the view that doing so is too difficult will ensure the perpetuation of our learners’ dismal academic performance. How can we produce outcomes at the learner level, without working with learners? Lynn van der Elst, from Miet, said that we need to better understand Government, to put ourselves in their shoes and try understand why things work the way they do. And I think that this important point speaks to the impetus behind NECT’s decision to focus at the district level and above, as levers that make sense for systemic interventions. Government’s job is to serve the 12 million learners who are supposed to be enrolled in the system. Just providing learning materials to 12 million learners must be a colossal challenge, and so it’s unsurprising that the provision of textbooks and digital learning resources is hailed as a systemic intervention, despite the lack of empirical evidence that this will lead to improved academic achievement. Speakers also spoke about the role of NGOs as innovators, and called for increased collaboration and stronger networks of support. The National Development Plan highlights active citizenry as one of its core pillars, and most of the speakers identified the promotion and creation of active citizenry as a key role for civil society. It is these active citizens that can step up and provide the intense level of support and care that learners need, so that we can see the kinds of radical shifts in academic achievement so desperately needed. 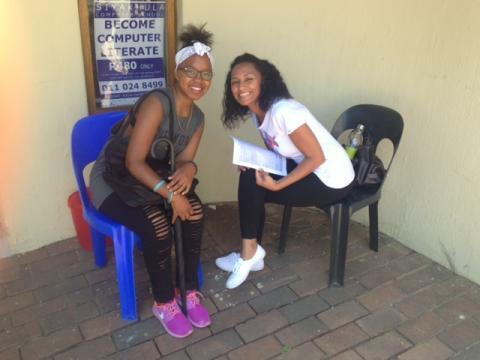 IkamvaYouth’s volunteer tutors and mentors are evidence of what’s possible when citizens become active. 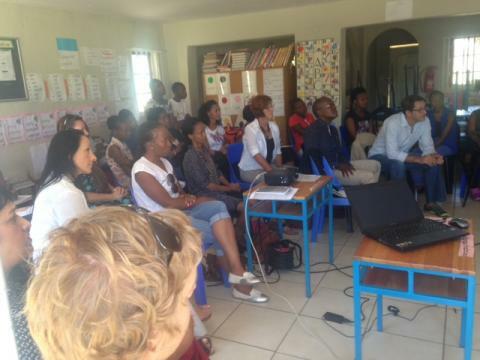 Most of these volunteers are university students, and many used to be learners in the programme themselves. By consistently showing up to meet learners where they’re at, they effectively assist learners to dramatically improve their academic results, and go on to access tertiary education, learnerships or jobs. We’re working with almost 20 other tutoring and mentoring programmes, towards achieving collective impact, and together, we will be reaching 3000 learners this year. Deputy Minister Mr Enver Surty challenged us about the tiny size of our interventions, and encouraged us to think big. “How do we take the principles and vision of the NDP into practical reality?” There were many NGOs in the room who are indeed promoting, inculcating and coordinating active citizens. NGOs like Enke, Fundza, TEACH South Africa, Room to Read, WESSA, Partners for Possibility, Equal Education, Bridge, Section 27 and Breadline Africa. NGOs who are inspiring, recruiting, equipping and coordinating active citizens to roll up their sleeves and get involved in educating learners, providing a pipeline of educators, supporting principals, improving schools, challenging policymakers, and ultimately working towards the NDP’s big goals. While many are working together already, there is always room to better leverage the potential of collaboration. And it is only through collaboration that we’ll be able to operate at the scale that makes sense to Government. The meeting began with a screening of Thandi’s story, which so smartly illustrates the challenges that the NDP aims to address and overcome. When Trevor Manual spoke at IkamvaYouth’s ten year birthday bash, we screened Funeka’s story, to illustrate the impact that after-school tutoring and career guidance mentoring can have. 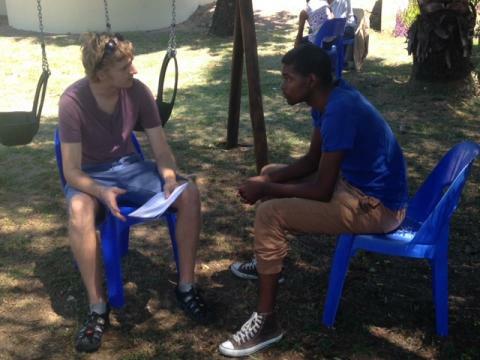 A meaningful way to contribute towards the NDP’s implementation for civil society is to mobilise and activate citizens, and to coordinate our efforts, with each other, and with Government, so that together we can reach more learners like Thandi and enable them to leverage education and improve their lives, just like Funeka. We appreciate NECT’s efforts to bring us together, and are looking forward to future engagements. Thank you for this opportunity, which we hope is just the beginning of a more cohesive and collaborative approach to realising the NDP. 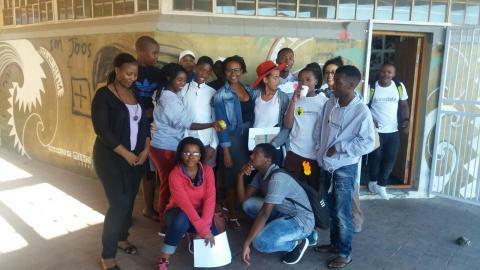 On this day, 5th of March, IkamvaYouth Ebony Park branch together with Comensa held its mentorship workshop. As part of the five IkamvaYouth programs, Mentoring has been a crucial element in achieving IkamvaYouth goals and Mission. Gauteng Ikamvanites in grade 12 and 11 had the opportunity to network with professionals from different organization where mentoring was the main objective of the day. On the day, mentors/coaches were given time to introduce themselves and tell Ikamvanites what they bring to the table and how it can beneficial in the long run. The Kolb Learning cycle was used as an example to learners so that they can better understand what role the mentor plays in the mentorship relationship. 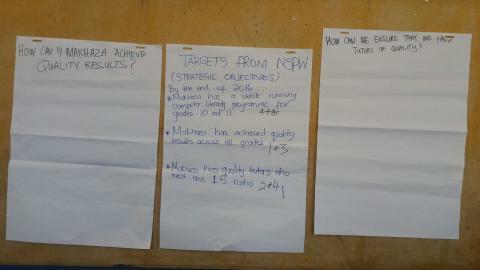 Ikamvanites participated in a session where expectations and roles were dealt with. Amongst the roles discussed was that a mentor is a facilitator, advisor, source of information, and amongst other things, a networker. Ikamvanites were urged to take charge and drive the agenda. 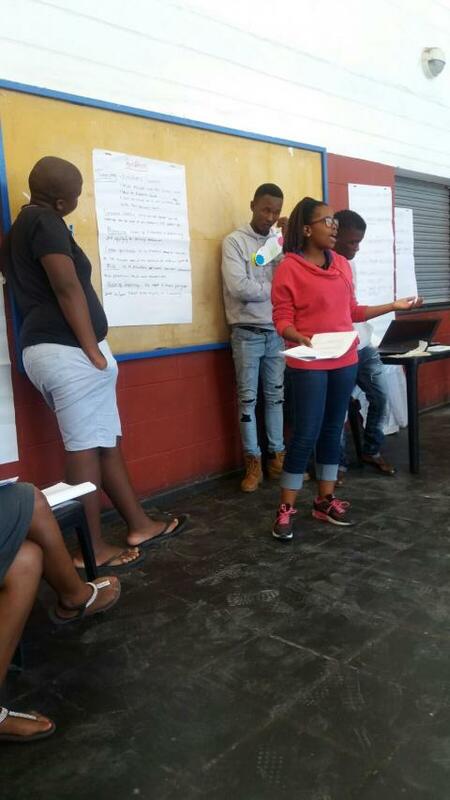 As it was said before, IkamvaYouth enables learners to make a transition from one current state to another state through mentoring and its other programmes. Through mentoring IkamvaYouth is hoping to Increase high school graduation rates; lower the high school dropout rates, encourage healthier relationships and lifestyle choices; create better attitudes towards school; increase University/college enrolment rates and educational aspirations; enhance self-esteem and self-confidence; improve behaviour both at home and at school; strengthen relationships with parents, teachers, and peers; improve interpersonal skills for learners and decrease the likelihood of drug and alcohol abuse. As they say “It takes a village to raise a child” and Ikamvayouth is challenging you to join its mentoring program and help a child realise that their dreams are possible. Their future is in their hands!! Take a little bit of inspiration, add to that some coaching and a lavish dose of planning, then you have the ultimate recipe to run a branch for the entire year. The 27th of February 2016 was the day Makhaza decided to try out that recipe…..once again! 09:00am sharp, parents, learners and mentors came together to launch the mentoring programme for the 2016 Matric cohort. Highly expectant and excited to meet one another, you could tell they were a bit anxious about the day. Tamara Stelman, Mentoring Coordinator from UCT, started off by thoroughly explaining to the attendees, what the programme was about; what is expected from each party and what she is hoping will be achieved by the end of the mentoring year. 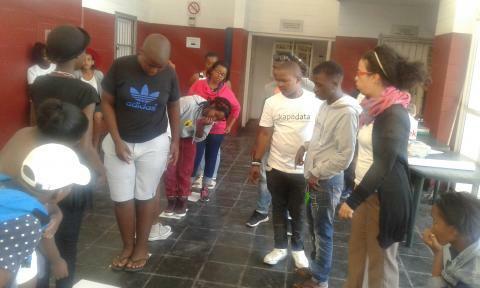 She then moved on to pairing the learners with their mentors, you could really see from the faces of the learners and parents, that they were more than impressed with the profiles of their mentors. We were off to a good start, the learners were inspired! Following that, was a workshop session that included a one-on-one session for further introduction; signing of the mentorship agreement and the sharing of goals,fears and expectations for the year. 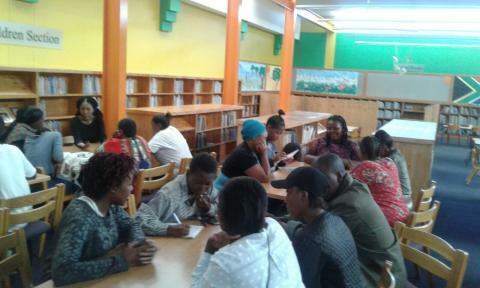 During the workshop session, Busiswa Dayimani, Branch Coordinator, had a brief meeting with the parents about their expectations for their children, what is required of the parents and the planning that they must do to prepare for the following year. In that meeting a parent, who is a teacher at one of the schools in Makhaza, stood up and voiced what she thought of IkamvaYouth. She said, “I have been watching IkamvaYouth for a period of time now and i want to commend the work that you are doing in this community, you are definitely bringing about a good change in our learners!” Whoop whoop, go team IY! Before you could take it all in, the event came to a halt. Immediately after that, it was Strategic Planning time! This is where the branch committee, a committee that consists of staff, tutors and learners, gets to set targets for the year, decide on structure that works bests for all members and gets ideas flowing on how to make Makhaza a better branch. The programme for the day kicked off with some really colourful and interesting looking name tags. Yanga Totyi, Branch Assistant, lead this team of Superheroes in discussions in which the team delved into the objectives of the 2016 committee; dissected the responsibilities of each portfolio; set targets for each portfolio and engaged in discussion on the quality of results at the branch and how improvements can be made. 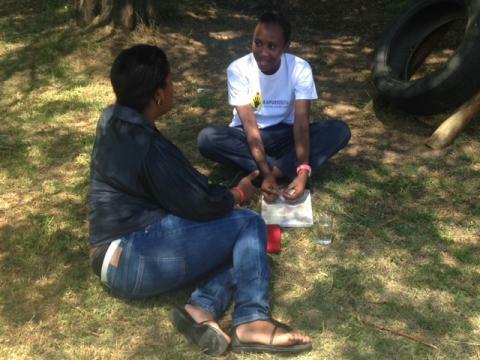 All work and no play makes a Branch com dull, hence Lungile Simakade, Branch Intern, shook things up with a few games and icebreakers in between discussions. Phew! What a day! It is in events like these that the engine of IkamvaYouth branches is oiled and if you would like to get involved in any way…as a mentor or a tutor, please check this LINK out!